Newport Urogynecology - restoring total health for women. To provide unparalleled personal care and treatments while empowering my patients with the knowledge necessary for them to make informed decisions about their future care and well being. In 2008, Dr. Lance Betson, D.O. joined the medical practice with his father, Dr. John Betson, M.D., who has practiced Gynecology in Newport Beach since 1962. After graduating from Newport Harbor High School, Dr. Lance Betson completed his undergraduate studies at the University of Southern California. 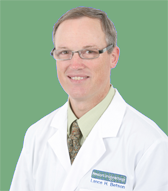 He received his medical degree from Des Moines University in Iowa, and completed his Obstetrics and Gynecology training at the University of Nevada - School of Medicine in 1998. Dr. Betson advanced his education and surgical capabilities by completing three additional years of subspecialty training at Harbor - UCLA Medical Center in Female Pelvic Medicine and Reconstructive Surgery. This Fellowship specializes in the diagnosis and treatment of female urinary incontinence, pelvic floor and support disorders, advanced laparoscopic surgery and various painful bladder issues. After completing this training, he accepted an appointment as an Assistant Professor at Harbor - UCLA for the Department of Obstetrics and Gynecology. However, he has now chosen to limit his academic endeavors, which has enabled him to bring this expertise to the patients in our community. © 2008 - 2019 Newport Urogynecology - All rights reserved.